supercw presents the Best of LAST of 2012 EVER!!! it’s not like the world is REALLY ending. but sorry, this blog is. i mean, it was so easy to keep the updates coming week after week, year after year, but this past year has been tough. the truth is since i got the mac i just can’t figure it out. if i can ever sort it out i will probably get back to blogging because i totally am still taking hundreds of photos each month. i’m just not sure blogging is where it’s at any more. everyone has sort of evolved to more bite sized chunks of life. and my updates? were looooong. i’ll keep this here as an archive forever though. well, as long as media temple will keep me on their team. like a seven year chunk of nightlife in honolulu for us all to look back at forever. but for the sake of keeping things fresh and relevant, i need to have a retirement party for supercw.com. there is an AMAZING new project i’m taking on, that i can hopefully reveal by the time this party happens. cross your fingers that i can make it happen. it will RULE!! so the details for this party that i can tell you now? it’s on Friday December 21st 2012. my birthday. it will be early again – a 6pm-midnight thing so we can all hit the streets after and go to our favorite bars after. there will be fashion and art and music as usual and special guests The Knocks from New York just trust me they are going to ROCK it. i will be showing every photo i have ever taken so we can take that trip down memory lane together. this year’s will be in a separate projection and you will all be very surprised how much has happened in one year, let alone all seven years of this website. 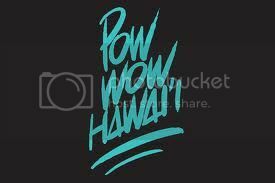 it’s a fundraiser for pow wow hawaii so hopefully everyone is ok with no guestlist. this is our last effort to raise the $ we need to make February happen. we are going to have some fun though. you gotta trust me!! The only reason I never felt guilty about staying in was because I could keep up with everything here. we are going to have some fun TRUST ME. it’s always fun to reinvent yourself, try something new, something different, have new goals and accomplish new products – like a chameleon… (examples: Lady Gaga and Madonna) Have fun being a gypsy or a Hawaiian gecko ! According to the ancient Mayan tribes (of South America), they predict (like Nostradamus) the end of the world will end on 12.21.2012 – the (Big Bang Theory) mother of all parties !